Went 15-3 with a 1.74 ERA (36 ER/144.2 IP) over 34 games (11 starts) during his high school career at San Clemente High School (CA), striking out 164 batters and allowing 101 hits... High-school battery mates with Atlanta's second-round selection in the 2015 draft, C Lucas Herbert ... Served as the starting pitcher in the gold-medal game for the USA Baseball 18U National Team in the 2014 18U Pan American Championship ... Entered the draft tabbed by Baseball America as the 18th-best prospect and the eighth-best pitcher (second-best left-handed pitcher), after a stress reaction in his back limited his action in his senior campaign. Split his season between Triple-A Gwinnett and Atlanta, making his major league debut on 7/31 vs. MIA ... Made three appearances for Atlanta, going 1-1 with a 12.38 ERA (11 ER/8.0 IP) in one start and two relief outings...Finished 6-4 with a 2.72 ERA (34 ER/112.1 IP) in 19 games, all starts, for the Stripers ... Beat the Marlins in his debut after going 5.0 innings and allowing five runs, four earned, in an 11-6 win...Fanned Dan Straily for his first career strikeout ... At the time of his debut was the youngest pitcher in the majors at 20 years, 352 days…Became the youngest left-hander to win his debut for the Braves since Charlie Vaughan did so on 9/3/66 at the age of 18 years, 332 days ... Singled in his first plate appearance, hitting the third pitch he saw to right field...Became the first Braves pitcher to get a hit in his first career at-bat (during his debut) since Joel De La Cruz also singled on 6/29/16 ... Combined with RHP Mike Soroka, RHP Touki Toussaint and RHP Bryse Wilson to make the 2018 Braves the second team in the last 110 seasons to have four different starters win their MLB debut in the same season...The 2009 Baltimore Orioles had five such pitchers ... With Atlanta four total times during the season… Optioned postgame following his debut before returning on 8/7 as the 26th man for a doubleheader…Also up from 8/11-8/19 and then again from 8/29 through the end of the season ... Made two more appearances for Atlanta, both in relief…Threw 2.0 innings on 8/7 at WSH and 1.0 inning on 8/17 vs. COL ... Combined with RHP Mike Soroka, OF Ronald Acuña Jr. and RHP Bryse Wilson to mark the first time the Braves had four players 20 years old or younger appear in a game for the club in the same season since 1969, when OF Dusty Baker (three games), 1B Jim Breazeale (two games), C Bob Didier (114 games) and LHP Mike McQueen (one game) all played ... Prior to 2018, the last Braves team that used three different pitchers prior to their 21st birthday was the 1910 Boston Doves... Lefty Tyler, Billy Burke, and Chick Evans all pitched that season for the Doves, who went 53-100 and finished last ... The last MLB team to use three starters prior to their 21st birthday in a single season was the 1965 Kansas City Athletics ...Catfish Hunter, Don Buschhorn, and Ron Tompkins all started that season for the A's, who went 59-103 and finished last ... The last MLB team to use three starters prior to their 21st birthday in a single season and make the playoffs was the 1913 Philadelphia Athletics, who won the World Series after using 20-year-old RHP Bullet Joe Bush, 19-year-old LHP Herb Pennock and 20-year-old RHP Charlie Boardman during a 96-win season ... With Triple-A Gwinnett, named an International League Mid-Season All-Star…Did not pitch in the Pacific Coast's League 12-7 win ... On 4/10 at Durham, became the second youngest starting pitcher in Gwinnett's 10-year history at 20 years, 7 months and 28 days... Was older than only Julio Teheran (20 years, 2 months, 12 days on 4/8/11 vs. Durham) ... Was invited to his first major league spring training and tossed 3.0 scoreless innings across two appearances ... Entered the 2018 season tabbed by MLB.com as the No. 58 overall prospect in the minors, the seventh-best left-handed pitching prospect and as Atlanta's No. 6 farmhand. Set new career highs in games (27), starts (27), complete games (2), shutouts (1), innings (150.0) and strikeouts (129) while going 8-11 with a 3.18 ERA (53 ER/150.0 IP) at Double-A Mississippi...Earned a pair of Southern League Pitcher of the Week honors (5/1-7, 8/28-9/4),was a SL Mid-Season and Post-Season All-Star honors and was named the best left-handed pitcher in the SL following the season...Led the Mississippi staff in starts and strikeouts, and his 129 strikeouts ranked fifth most in the SL...Pitched to a 4-1 record and a 1.23 ERA over his first eight starts (through 5/14), before posting a 1-8 record and a 5.55 ERA over his next 12 turns (5/19-7/23)...Ended his season by going 3-2 with a 1.83 ERA over his final seven starts, including 14.0 scoreless innings pitched in his last two turns...Entered the season named by Baseball America as Atlanta's No. 3 prospect, and as the No. 37 prospect in the minor leagues. Split his first full professional season between Single-A Rome and rookie-level Danville, combining to go 8-3 with a 2.98 ERA (29 ER/87.2 IP) and 95 strikeouts over 16 starts ... Made his season debut on 6/6 vs. Charleston, and went 0-2 with a 14.14 ERA (11 ER/7.0 IP) in his first two starts...Followed by pitching to an 8-1 record and a 2.01 ERA (18 ER/80.2 IP) over his final 14 starts of the season, fanning 88 batters ... Made two starts in the postseason and did not allow a run over 12.0 innings of work, going 1-0 with nine hits, three walks and 10 strikeouts as Rome won the South Atlantic League Championship. Named by Baseball America as the Braves' fifth-best prospect entering 2016, and his curveball was named the "Best Secondary Pitch" in Atlanta's 2015 draft class ... Started his professional career with the GCL Braves and made three starts, tossing 6.0 scoreless innings, allowing just one hit and hitting one batter...Fanned 12 of the 20 batters he faced on the season, including eight of the first 10 he faced to open his career. 12 de marzo de 2019 Atlanta Braves opcionado LHP Kolby Allard para Gwinnett Stripers. 29 de agosto de 2018 Atlanta Braves llamado LHP Kolby Allard de Gwinnett Stripers. 19 de agosto de 2018 Atlanta Braves opcionado LHP Kolby Allard para Gwinnett Stripers. 11 de agosto de 2018 Atlanta Braves llamado Kolby Allard de Gwinnett Stripers. 8 de agosto de 2018 Kolby Allard devuelto a Gwinnett Stripers de Atlanta Braves. 7 de agosto de 2018 Atlanta Braves llamado Kolby Allard de Gwinnett Stripers. 1 de agosto de 2018 Atlanta Braves opcionado LHP Kolby Allard para Gwinnett Stripers. 31 de julio de 2018 Atlanta Braves seleccionado el contrato de Kolby Allard de Gwinnett Stripers. 5 de abril de 2018 LHP Kolby Allard asignado a Gwinnett Stripers. 26 de enero de 2018 Atlanta Braves invitado fuera del roster LHP Kolby Allard para spring training. 4 de abril de 2017 LHP Kolby Allard asignado a Mississippi Braves de Rome Braves. 20 de julio de 2016 LHP Kolby Allard asignado a Rome Braves de Danville Braves. 18 de julio de 2016 LHP Kolby Allard asignado a Rome Braves. 18 de julio de 2016 Rome Braves activan a LHP Kolby Allard. 23 de junio de 2016 LHP Kolby Allard asignado a Danville Braves de Rome Braves. 6 de junio de 2016 LHP Kolby Allard asignado a Rome Braves de GCL Braves. 28 de julio de 2015 LHP Kolby Allard asignado a GCL Braves. 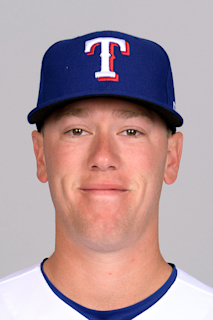 13 de julio de 2015 Atlanta Braves firmado LHP Kolby Allard.